I had been wanting to make this smaller version of the large hanging paper peonies for some time but I didn’t have the right tissue paper. I must have the right hue of tissue paper. I’m serious. I had been all over LA, even to my go-to vendors but they didn’t have the right color. So, sadly I shelved the project until I could find what I wanted. Cut to this past Sunday. I was rummaging through a very full, very unorganized paper drawer in my office. Hidden in the depths were 5 glorious pieces of beautiful, perfectly pink tissue paper. Needless to say my fate was sealed. 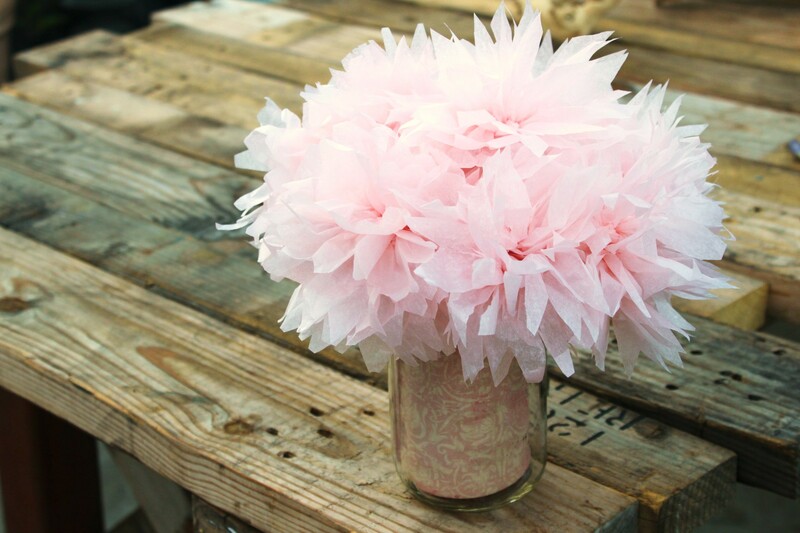 I gathered my supplies, cleared off the coffee table put on my new favorite car show ‘Fast & Loud’ and proceeded to make my pink paper peonies. 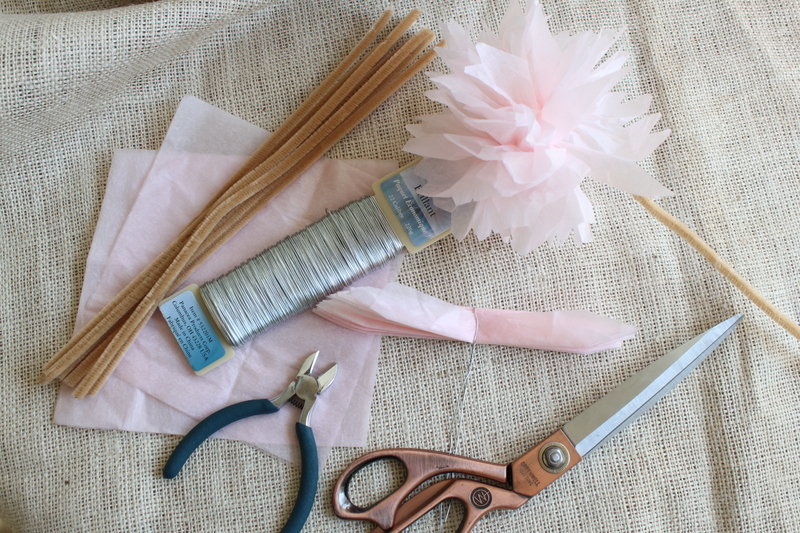 This is what you will need – pretty tissue paper, neutral color pipe cleaners, wire, wire cutters and a good pair of scissors. 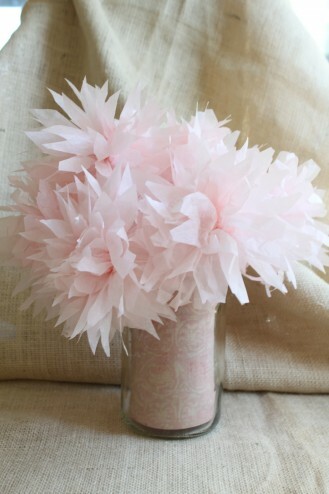 For the number of blooms you want to make, you’ll need 6 to 8 pieces of paper. Stack them and fold them like an accordion. Bind them with the wire in the center, snip the ends and begin to unfold. Wrap the wire around the end of the pipe cleaner. Voila! 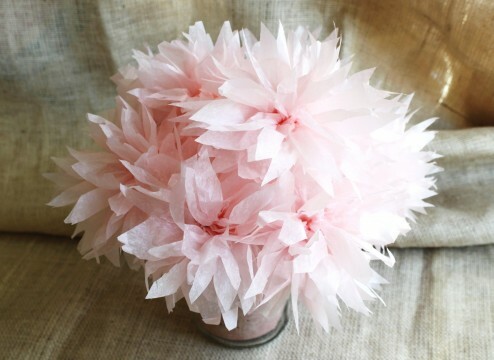 I hope you enjoy making these cute, easy little blooms. So pretty, I love that shade of pale pink too. It’s nice the way the flowers look a touch darker in the center.